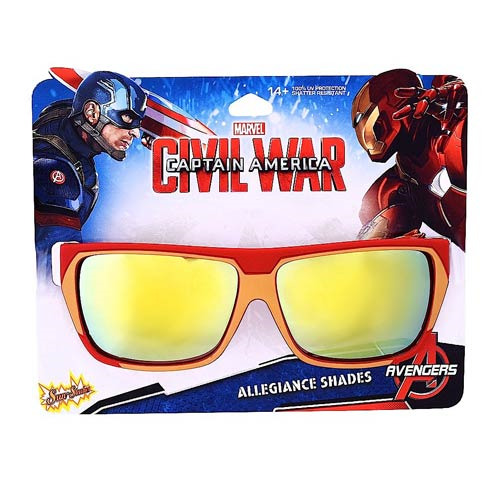 Show your support with these Captain America: Civil War Team Stark Sun-Staches. Designed from Tony Stark's Iron Man suit, these sleek glasses feature his iconic frame shape and signature color throughout the frames. Pick a side with these Captain America: Civil War Team Stark Sun-Staches. Measure approximately 6-inches across. One size fits most and all Sun-Staches provide 100% UV400 protection. Ages 14 and up.